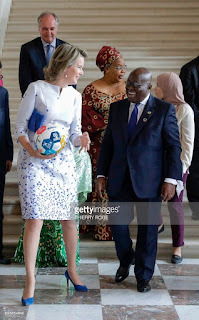 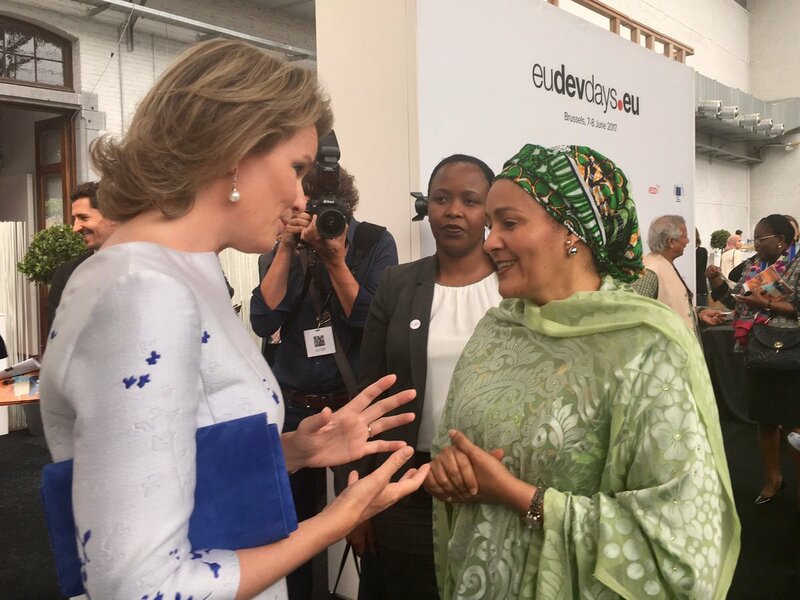 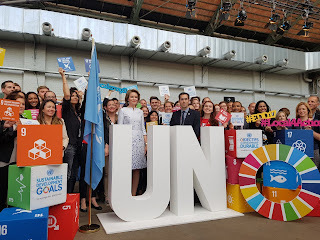 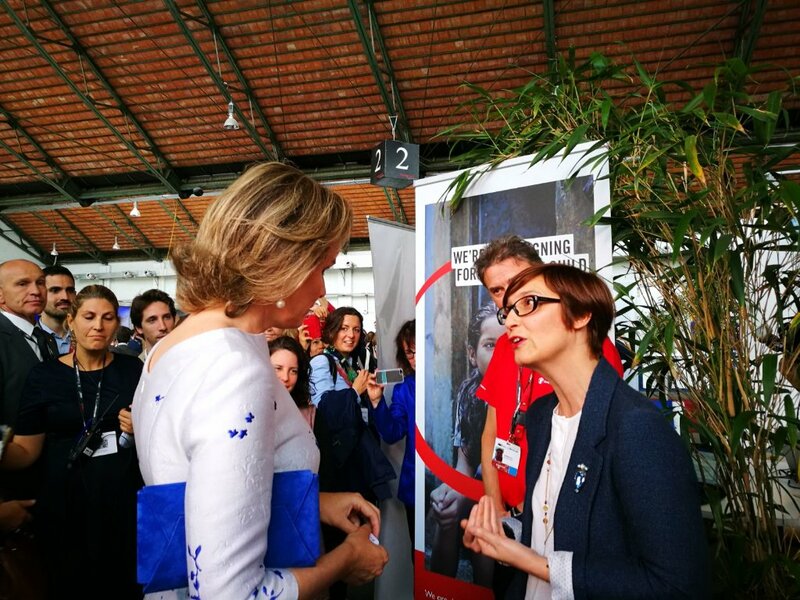 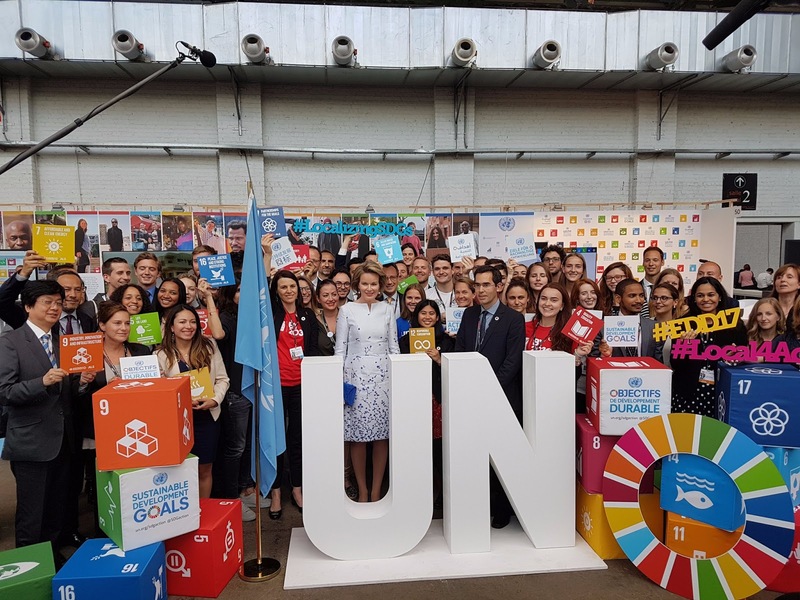 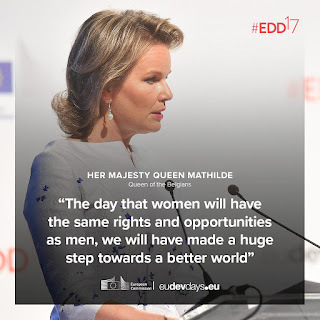 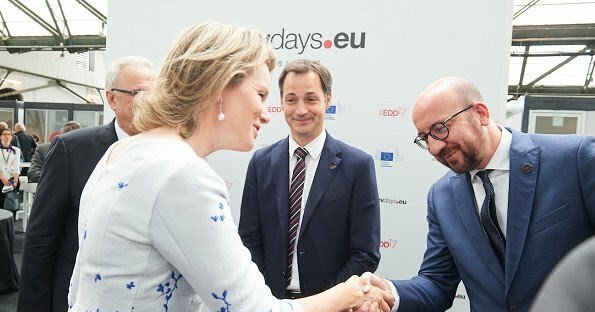 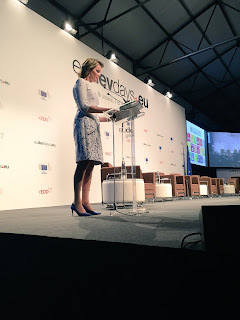 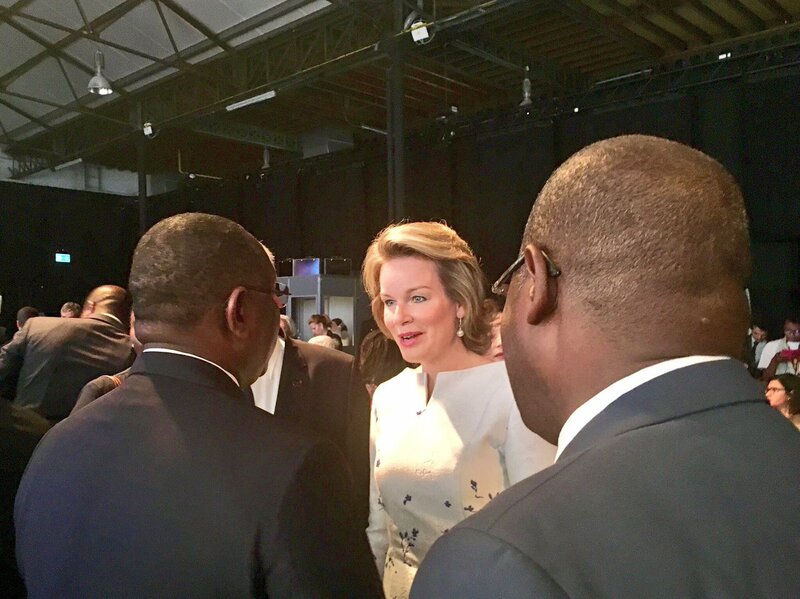 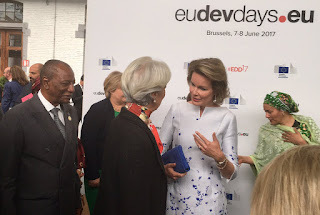 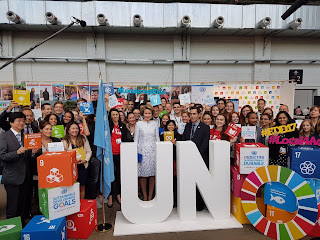 Queen Mathilde attended the opening ceremony of the European Development Days at Tour & Taxis in Brussels. 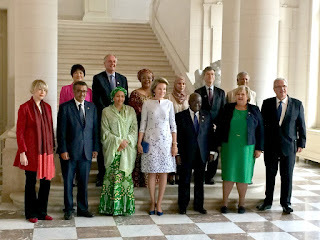 At noon, the queen hosted a lunch for several female SDG advocates at the palace of Laken. They discussed the initiatives that have been taken so far to implement the social development goals. In the afternoon Mathilde visited the stands at Tour & Taxis and she opened the panel debate 'Leaving no one behind'. 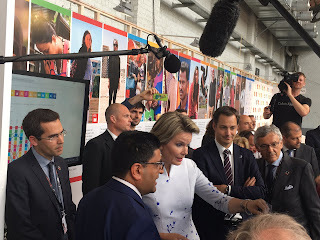 The queen answered questions from the press. 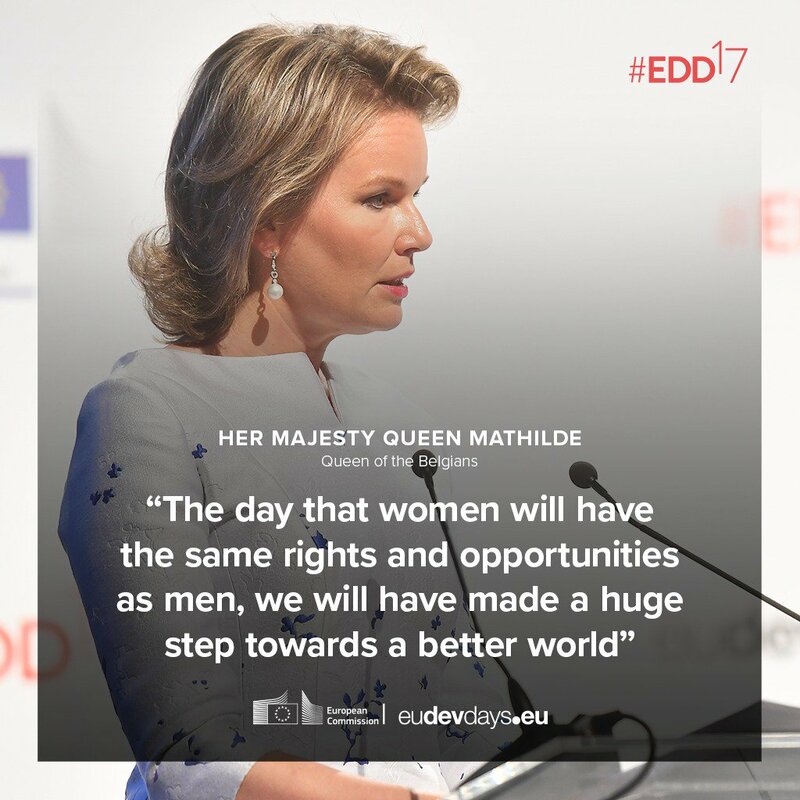 Mathilde's two main areas of focus are quality education, especially for girls, and mental health.